Builders hear it all of the time: What does it cost per sq.ft. to build? Though there are "rules of thumb" regarding cost per sq.ft. each builder who is asked this question probably has a different list of what is included in that "Cost Per Sq.Ft." that a client prospect has in mind. What does that cost include? Why is one builder's estimate significantly higher than another builder's? I asked a realtor friend how I could increase my opportunities to bid projects. He said that other builders get the client in the door by noting a lower per-square-foot price. I asked him if they built the home TURN-KEY AND COMPLETE for that price. The realtor said, "NO!" The Initial Ball Park Price of the other builders included the house only. The decks, grading, septic, porches, chimneys, retaining walls, and underground power were "additional" costs On Top of the per-square-foot Ball Park Price of the house. Many years ago, when I was starting to build my construction company, a builder friend told me, "Building for any client is not about the price as much as it is about building a relationships with them." We ask for the opportunity to build a relationship with you that will allow us to build a fine custom home that has all of the necessities considered at the front end. Our reputation for quality and attention to details is the most important thing to us. We have a number of repeat clients. 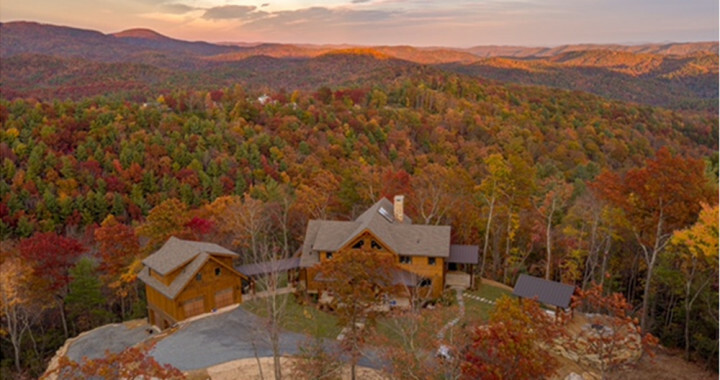 We have built mountain homes for general contractors from around the region, and we have built a mountain home for an architect couple from Charlotte. All of these clients have fine homes and remain long-term satisfied clients. 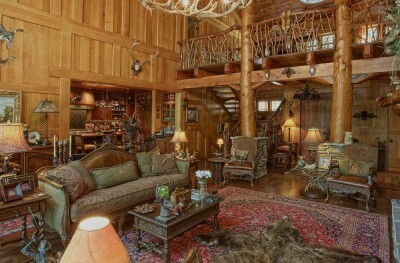 Options and Inclusions Necessary to consider when evaluating the potential cost of a Custom Mountain Home. ~Water Tap On/Septic/Well - costs in the mountains can vary widely depending on location, slope of property, etc. ~Fill Dirt/ Dirt Removal, Tree and Stump Removal site work costs and be modest or expensive depending on the below grade rock on the site, the roads, the landscaping plan, retaining walls and other requirements of the slope and the length of the drive. ~Kitchen upgrade with counters and appliances --or more modest custom kitchen, costs can vary widely, depending on the detail sought by the home owner. ~A good many of the homes we build have hand cut and applied tongue and groove or other paneling on the walls and ceiling. This increases, carpentry labor, wood product costs and stain/finishing costs. ~Recycled wide plank wood flooring (antique flooring is often much more expensive than standard flooring). ~We use quality upgrade windows with relatively high Design Pressure Ratings for energy efficiency. There are wide ranges of costs and quality in window manufacturing. Also, transom, simulated or true divided lights, gable glass and other special window glass , for natural lighting, view and other dramatic effect, can add to costs. ~Heat/Air conditioning: standard system or dual fuel? ~Roofing Materials (Metal/50yr. Shingles/Tile/Slate/Other Options). Roofing expenses vary widely. ~Front Door Selection/Interior door selection (Standard or Custom Doors). ~Vaulted Ceilings and Higher than Standard Ceilings: When you decide on nine, ten or greater height ceiling, this will increase costs over a standard eight-foot ceiling. If you have vaulted ceilings, this can increase costs of labor, scaffolding, engineering, gable glass windows, painting, staining and other costs related to the higher than normal ceiling. Of course, with this increased cost, there is an increased value: Not only the value of the aesthetics, but also in the appraised value of the home. We will be glad to show you some of our work for you to process the detail and the finishes we provide. When we are providing the design detail our client's request, it is not uncommon for (all inclusive) costs to increase with the custom details shown above. With other custom additions such as 2nd kitchens, Lutron lighting systems, Smart House technology, theater rooms, live video cameras, numerous fireplaces, home generators and other features costs need to be analyzed on an individual detail-specific basis. Mountain Construction Company are North Carolina Builders that specialize in New Home Construction NC as Boone NC Builders. 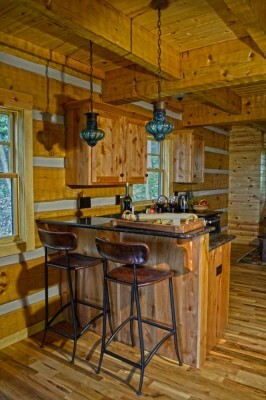 We also can provide Boone NC Remodeling services, Boone NC Construction as Custom Builders in NC and are happy to work with your as Cabin Builders in NC on your next cabin. 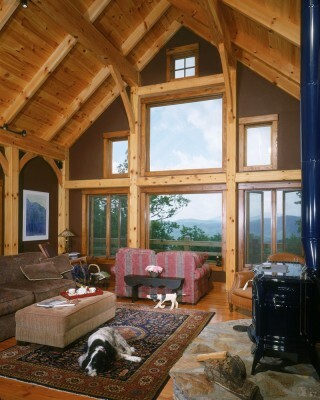 Over the years, we have accomplished a great deal as North Carolina Timber Frame Builders. Please contact us for more information.